Treat yourself to an invigorating bath experience with this bath bomb. Scented with floral notes of wild poppies, magnolia blossoms, juicy peach, and hints of sugared fruit water. 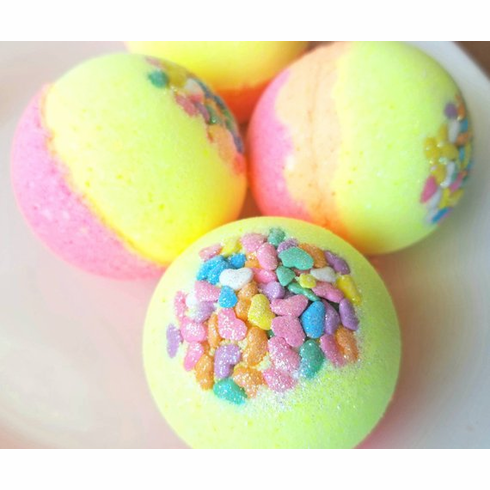 Bath Bomb weigh 5 oz. and will come individually packaged. Ingredients: baking soda, citric acid, cornstarch, goat milk, coconut oil, avocado oil, olive oil, polysorbate 80, fragrance, colorants, sprinkles, glitter.